To Download Math Science Quest click on the button below. A new tab will open in your browser where you can download Math Science Quest for Free. 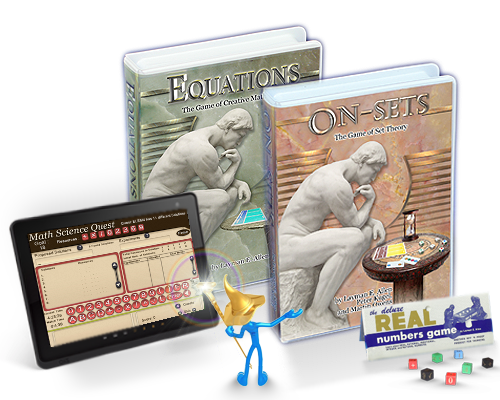 Return to this tab to continue your purchase of the Math Games Bundle. 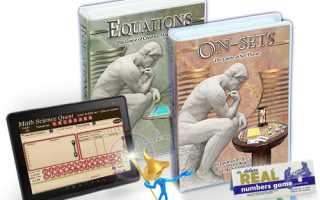 This Bundle includes the deluxe version of EQUATIONS: The Game of Creative Mathematics (including the “Learning to Play EQUATIONS” DVD), ON-SETS: The Game of Set Theory, The Real Numbers Game, and a free download for the Math/Science Quest program for your computer or tablet. Total retail value $68.50 – Special Discount offer $59.00.